Today’s senior living communities are a far cry from the simple – or downright drab -- retirement homes of yesteryear. Today’s seniors and their loved ones have come to expect a higher standard of senior living – with the best staff, top-notch care and an extensive array of facilities, amenities, and activities to choose from. And with 10,000 baby boomers turning 65 every day, the demand is only growing. 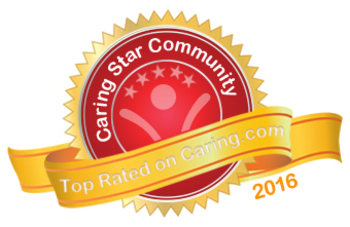 For the fifth year, Caring.com has rounded up the most outstanding assisted living and memory care communities in the United States, based on consumer reviews and overall online reputation. This year, nearly 800 communities in 44 states made the cut. We congratulate them all, and we hope this list helps you in your senior living search. Whether you’re considering assisted living or memory care for yourself or for a loved one, the following list includes only the top-rated communities that real consumers love. Active Senior Living Residence, Inc. Learn more about the Caring Stars program.